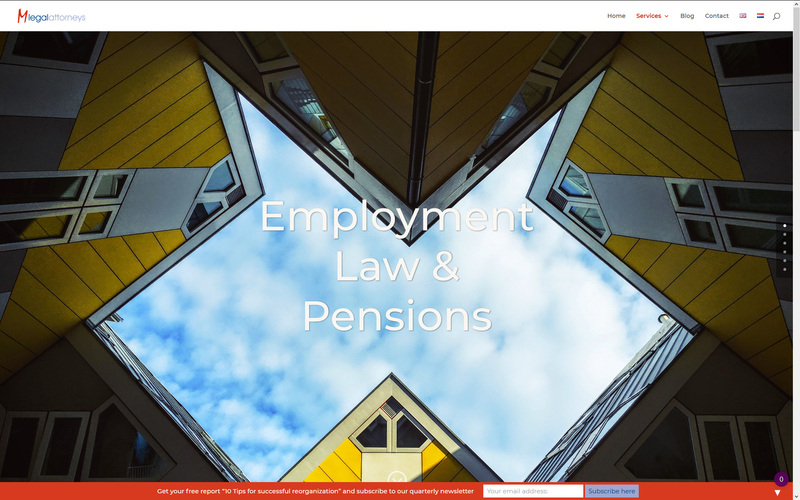 Marianne Eisma from Mlegal Attorneys wanted an updated look for her new web design. She had some great images to work with, and we conceptualised the other art work to showcase her style and present the strength of her company. Mlegal is a multi lingual site. The services page scrolls using parallax images and the Blog page shows different blogs in each language.